With 108 clubs across four regions and 17 divisions, there are various models to build a WPSL roster. How each team goes about filling out its club is informed by the depth of the local player pool, the presence of local youth academies, and countless other factors. A handful of WPSL clubs shared their perspectives about constructing rosters. How do WPSL clubs find players? For established clubs, there may be a handful of players who carry over from one season to the next, but generally high turnover is the norm. All WPSL players are amateurs, so there’s no contract binding them to a particular club for any fixed period of time — they could even switch clubs in the middle of the season, should they feel so inclined. Some WPSL clubs are part of a broader youth development program. For those clubs, the goal is to have their youth players move up through the ranks and then have the opportunity to showcase their talents on the WPSL side. So even an expansion side like British Columbia’s TSS FC has, according to technical director Brendan Quarry, upward of 70 academy graduates who have played college soccer in the past eight years. That gives it a large pool of potential players who are well acquainted with the TSS style of play. For many college soccer stars, playing in the WPSL in between seasons is a good way to stay sharp during the summer or, for college graduates, keep their playing careers going. Some players go back home to their local WPSL clubs while others are referred to a team closer to their college. The college players are often the last pieces to get added to the roster-building puzzle, for their availability can remain uncertain until the semester finishes, mere weeks before regular season play begins. How old are WPSL players? Most clubs target high school seniors to mid-twenties college grads, though there are certainly exceptions. Sissi, the Golden Boot winner from the 1999 World Cup, logged about 45 minutes per match last year at age 50 as a midfielder for the California Storm, coach Jerry Zanelli estimates. 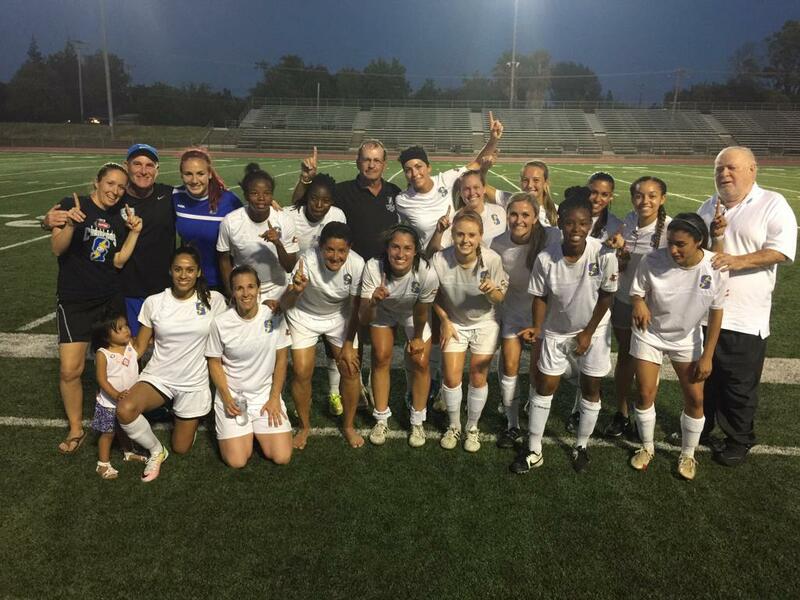 “Getting that experience playing with different types of players and different ages of players is a win-win situation for the players, the club and the league,” said Walter Pratte, director of coaching for WPSL expansion side Pleasanton RAGE. Pleasanton’s roster is still under construction, but Pratte estimated the ages of their players would range from 18 to 27. Are WPSL clubs looking for positional fit or best players available? With some exceptions, clubs are generally looking for the best players available rather than trying to meet predetermined positional requirements. Certain positions have required attributes that are inflexible such as goalkeepers. One club said it targets centerbacks and strikers and trusts that all the other outfield players it adds will have a degree of positional flexibility. How big are WPSL rosters? Target roster size generally ranges from 21 to 30. One club said it prefers to carry a smaller squad and dip into local talent should the need arise. Others prefer to roster more players to get ahead of potential injury situations and schedule conflicts from the outset.